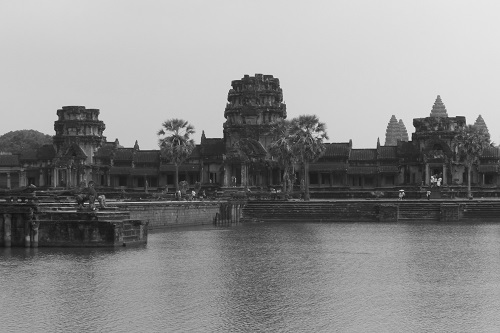 The vast temple complex of Angkor Wat is easily the most famous place in Cambodia. Although it is just one of many sites within the Angkor Archaeological Park, it's the name that everyone knows. 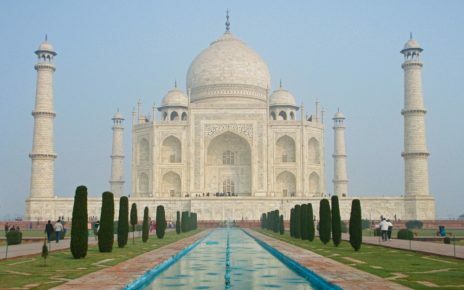 Most visitors will have limited time and just one chance to see the best of this unique place. 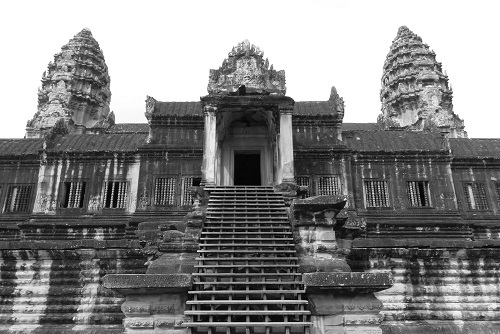 Follow these tips for a perfect Angkor Wat experience. 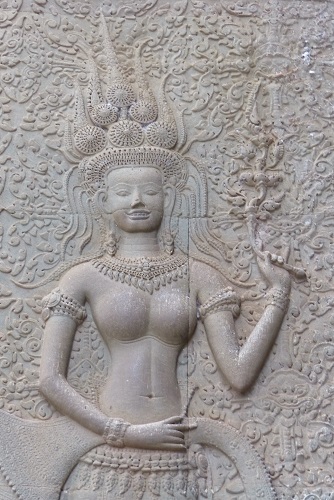 Nearly 2000 elegant apsara dancers have been carved into the walls of Angkor Wat. These celestial nymphs stand in different poses along almost every wall. Nearly all have their mouths closed. There are just two that flaunt a full set of teeth. These smiling apsaras can be very elusive, unless you know where to look. The First Smiling Apsara: The main entrance on the west side of Angkor Wat has 5 gateways. The largest stands in the centre. Just south of the central gate, a smaller gateway houses a statue of Vishnu. As you pass Vishnu and step out into the huge open courtyard, it's easy to be distracted by your first view of the iconic towers that make Angkor Wat unique. Turn your back on the main temple and face the door you just came through. Look at the wall to the left of the door to meet your first smiling apsara. She faces east from the main wall. 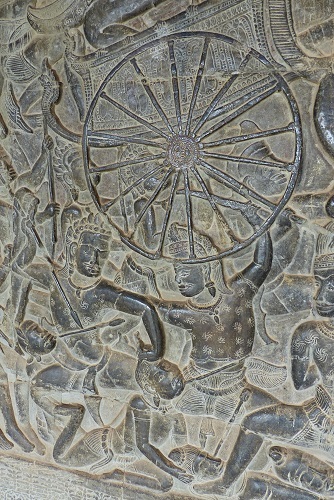 If you enter Angkor Wat through the central gateway, look out for the bullet holes in the stonework. These were left after a gun fight with retreating Khmer Rouge soldiers. 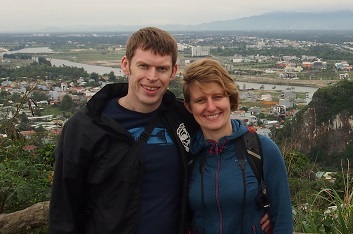 For more on the Khmer Rouge, read about our visit to the Killing Fields. 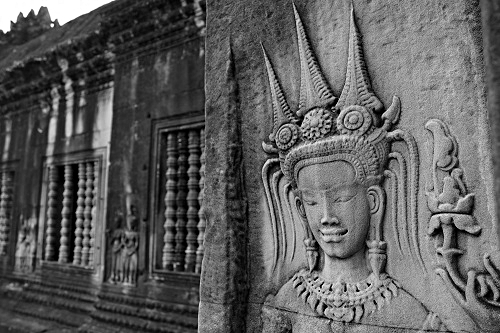 The Second Smiling Apsara: The other smiling apsara can be found near the centre of Angkor Wat. Steep steps run from the impressive Bas Relief Galleries at the base of the main temple up to the next level. Climb the southern steps towards the second enclosure and you'll come face to face with this winning smile. This smiling apsara stands on the left gatepost at the top of these steps facing south. The main entrance to Angkor Wat is from the west. Dozens of tour buses and tuk-tuks carry thousands of visitors to this entrance every day. It's a tourist circus with snack vendors, tat peddlers and public toilets. The grand west entrance is well worth seeing but it's not the only way into this huge complex. You can also use the east gate of Angkor Wat. A dusty lay-by with space for just a few vehicles makes using the east entrance a much more private affair. The crumbling gateway, stained red and green with lichen evokes the jungle explorer spirit that draws so many to this region. If you have your own tuk-tuk driver, ask him to drop you off at the west entrance and pick you up from the east gate. 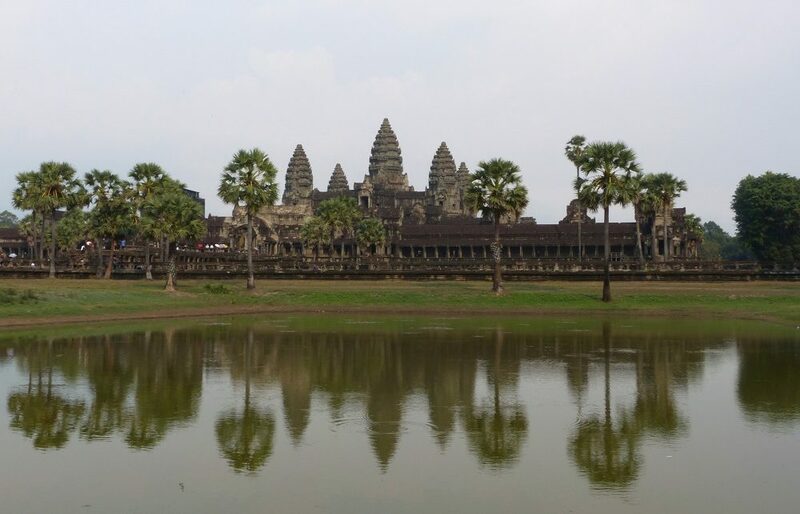 The most important and highest point of Angkor Wat is the Bakan, at the centre of the main complex. It represents Mount Meru, the home of the Hindu gods. In the true spirit of the mountain style temples, getting to the Bakan involves climbing a lot of steep narrow stairs. This reminds pilgrims that reaching the gods is no easy task. Only a small number of visitors are allowed into the Bakan at any one time. Once capacity is reached, they operate a strict one in one out policy. It is very likely that you will have to wait in a queue. We waited for around 15 minutes but the queues can be longer. Crowds of people gather at Angkor Wat to watch the sunrise. As soon as the sun has risen, and the obligatory selfie snapped, there's a mad rush to be first in line for the Bakan. If you're not leading the charge, you may find yourself with a very long wait. It may be better to visit at a different time of day. 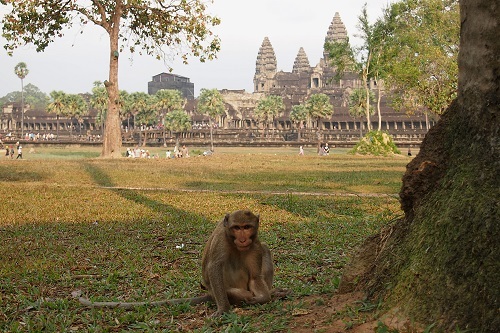 Although Angkor Wat can get very busy, few visitors stray far from the central path. This means there are always quiet places to relax and appreciate some peace and tranquility. The libraries that stand on either side of the main causeway offer a shady spot to stop and enjoy a good view of the main temple. In the central complex, a walk around the Bas Relief Galleries on the lowest level will also grant you some respite from the hordes. When we strayed towards the forested perimeter, we met a lively troupe of monkeys. Crouching to snap a photo, Chris felt the telltale tug of an unexpected passenger landing on his back. The monkey wrestled vigorously with his water bottle, but did not succeed in stealing it. We later saw another tourist trying in vain to retrieve a stolen water bottle. 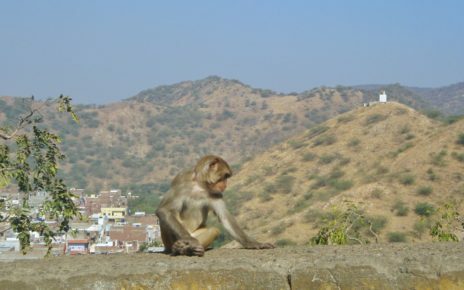 He was ruthlessly taunted by the triumphant monkey and eventually had to concede defeat. Hundreds of people gather at Angkor Wat every morning hoping to capture the perfect shot. For a fleeting moment, the sun rises behind the characteristic 5 pointed silhouette igniting the sky in a blaze of colour. In the foreground, the whole scene is perfectly reflected in a glasslike pond. It does however take some planning and a fair amount of luck to get this right. When we first walked through the entrance gate at Angkor Wat, we were really surprised by the view. It looked nothing like the pictures. There was a broad causeway running right up the middle of the courtyard, and only 3 towers visible, instead of 5. The water lily filled lake was also nowhere to be seen. 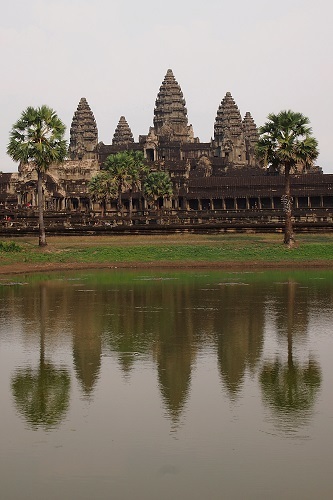 Where was the Angkor Wat we had seen in photos? 3 Towers, Scaffolding and No Lake! Walking up the causeway, past the libraries, you'll see two small ponds appearing on either side of you. Walk to the far corner of either pond and look back at the temple. 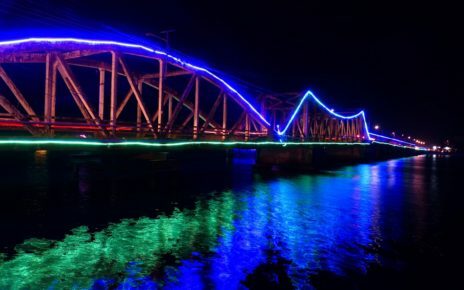 This is the famous view. Of course, constant restoration work means you will likely have some scaffolding in your frame. With careful positioning, we were able to obscure the scaffolding behind some palm trees. If the scaffolding is unavoidable, your photo might look better in black and white. There will be hundreds of people crowded around the ponds, waiting for that perfect sunrise view. Get there early to stake out your spot. You'll have to walk a fair distance in the dark. It's a good idea to bring a torch. Check the weather forecast and keep your fingers crossed. You're unlikely to get a good photo in the rain. Even on a good day, a dusty haze or a band of low cloud could still spoil your plans. Early morning in Cambodia can be chilly. Especially if you're travelling in an open sided tuk-tuk. You may want to wear an extra layer. The monkeys we encountered at Angkor Wat had a habit of stealing water bottles. Make sure any water you carry is either well secured or hidden inside your bag. Angkor Wat is around 7km from central Siem Reap. By tuk-tuk: Hire a tuk-tuk and driver for the day. Most drivers will offer the Small Circuit, which includes 6 temples, or the longer Grand Circuit. 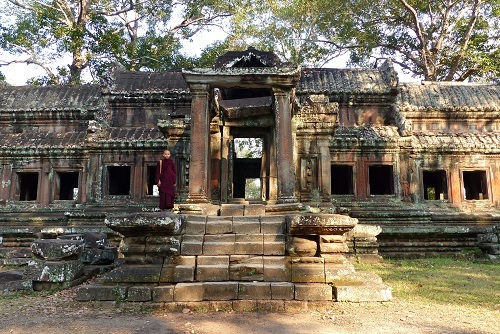 Both include a stop at Angkor Wat. By bike: Rent a bike in Siem Reap and pedal to Angkor Wat. The roads are in good condition but be aware that the rental bikes may not be. Check the bike thoroughly before you leave the shop. 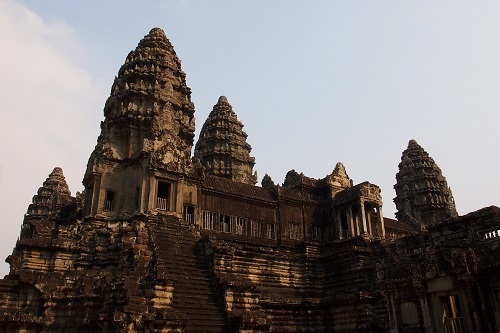 Before visiting any of the Angkor temples, you will need to buy a ticket. The ticket office is not on the main road from Siem Reap to the temples. You will need to take a short detour. It is also worth noting that the old ticket office, while no longer in use, still appears on many maps. Buy a temple pass for 1, 3 or 7 days. Each morning, before you enter the temple complex, get your pass stamped at one of the checkpoints. You will still need to show the pass as you enter each temple. I think it’ll be interesting to see how recent archaeological discoveries (reports from late-2015) will add to the story of Angkor Wat. Hi Henry, Yes, it seems there are a lot more ruins still hidden in the jungle. We’re also curious to see what happens with them.